This sunset over Morecambe Bay was just too good to record using a single exposure. So I bracketed 5 shots and merger them. The slight fuzziness of the clouds nicely compliments that sharp inky blues of the beach! 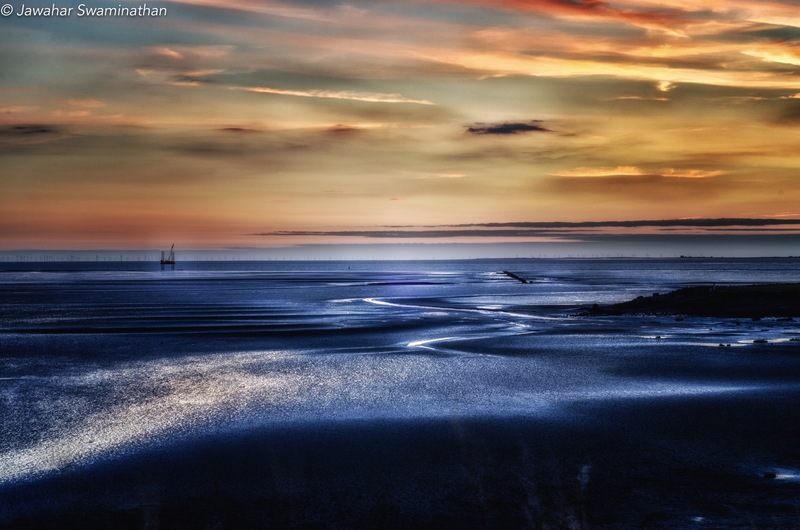 Ocean Edge Leisure Park, Heysham, Morecambe Bay, England. These words came to mind when I looked at this photo of me taken by a friend. In the vastness of space, we are but insignificant creatures living on a tiny planet in orbit around an average star in one corner of a galaxy amongst billions of galaxies! 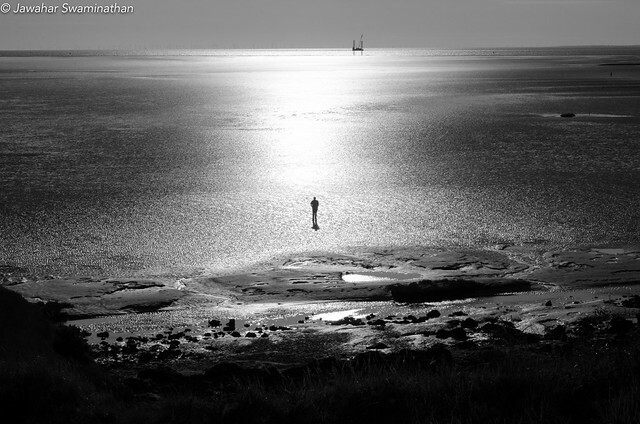 At Heysham on Morecambe Bay in Lancashire, UK. 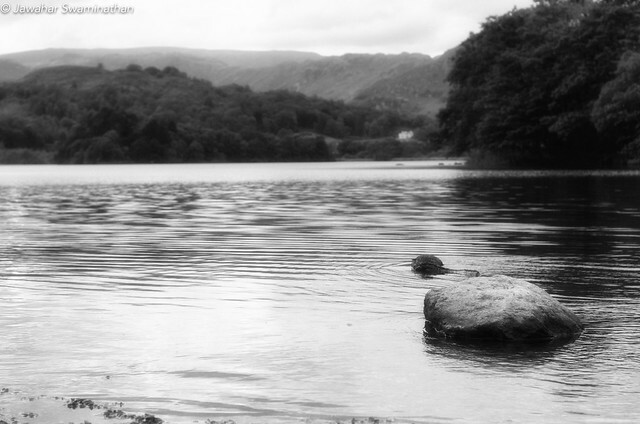 The lake made famous by William Wordsworth, Lake Grasmere in the Lake District National Park is a mile long tranquil lake. I took this picture from a low perspective and attempted to capture the natural beauty of this place. In the distance, Allan Bank, a property managed by the National Trust can be seen. A small island in the middle of the lake was Wordsworth’s favourite destination while he was staying at nearby Dove Cottage. Click on the picture for more viewing options. Photo best viewed in large size! 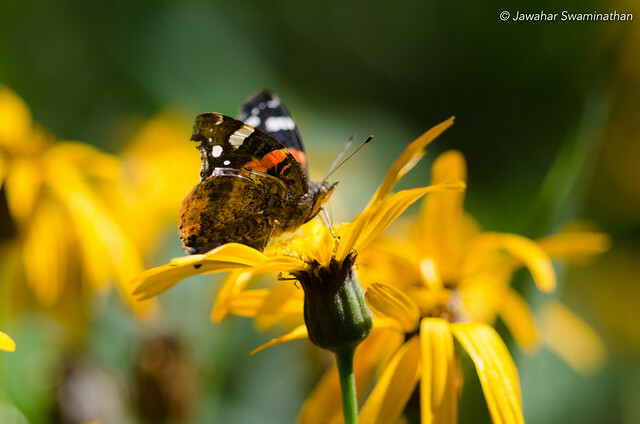 A red admiral butterfly takes a brief rest on a yellow flower. At the Cambridge University botanic gardens. Spotted at the Cambridge University botanic garden. 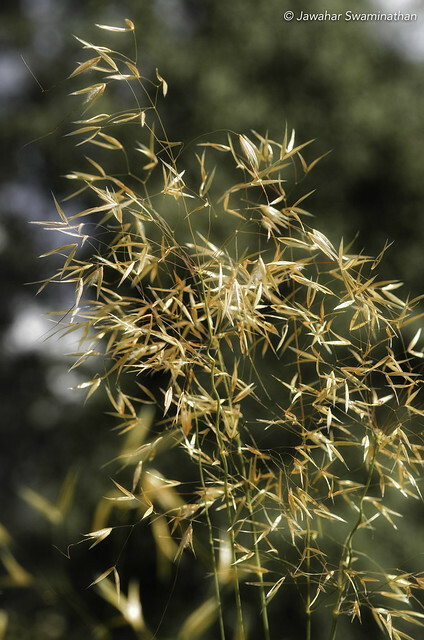 Beautiful golden wisps of what I think are decorative grass flowers/fruit! Nikon D7000 with a Sigma 105mm f/2.8 lens. ISO200, f/5.0, 1/1250 seconds. Posted on August 4, 2015 Categories Cambridge, Nature, PhotographyTags Adobe Photoshop Lightroom, Cambridge, cambridge university botanical gardens, Flora and Fauna, flowers, grass, SummerLeave a comment on Golden!